ECKANKAR offers a variety of international and local activities for the spiritual seeker with hundreds of study groups around the world. In many countries there are ECK centers or groups of ECKists that you can contact. For information about worldwide seminars and international events, please go to the ECKANKAR official web site. In Serbia there are ECK meetings in Belgrade – Community HU Song at 17:00 and The Mystic World discussion at 18:00, on the last Sunday of each month. If you like to attend in some activities or to have further information, please go to the Contact section. For Satsang classes and other activities reserved for ECKANKAR members, please go to the Login section-see tab above. Sunday 26. 5:00pm Event "The Sound of Soul"
Sunday 22. 5:00pm Event "The Sound of Soul"
Sunday 24. 5:00pm Event "The Sound of Soul"
Sunday 27. 5:00pm Event "The Sound of Soul"
Sunday 29. 5:00pm Event "The Sound of Soul"
Sunday 25. 5:00pm Event "The Sound of Soul"
Sunday 28. 5:00pm Event "The Sound of Soul"
Sunday 30. 5:00pm Event "The Sound of Soul"
Sunday 31. 5:00pm Event "The Sound of Soul"
You are invited to the 2018 ECK Worldwide Seminar, October 26 - 28, in Minneapolis, MN. 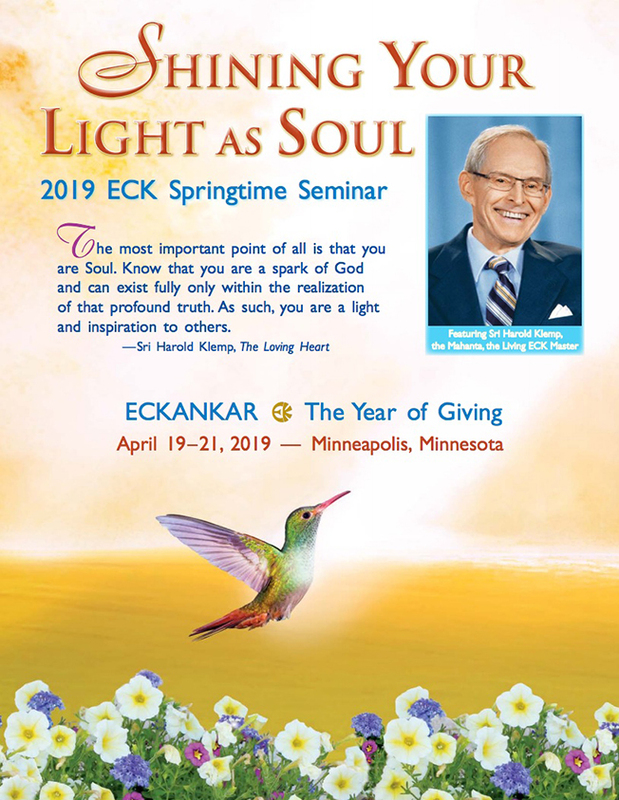 You are invited to the 2019 ECK Springtime Seminar, April 19–21, in Minneapolis, MN. You are invited to the 2019 ECK European Seminar, August 2–4, in Biel/Bienne, Switzerland. HU Song and Spiritual discussions every last Sunday of the month at 5PM, in Belgrade.